Katie Yamasaki is a muralist, community artist, teacher, and illustrator based in Brooklyn. Her work as an artist has a wonderful way of sparking dialogues among diverse groups of people of all ages. Yamasaki’s artwork is known internationally; she has painted more than eighty murals in places all around world. She is also very familiar to our neighbors in Sunset Park, where two of her murals are located. One is on 3rd Avenue and 23rd Street, and the other is at PS 24, just two blocks away from the Dedalus Foundation’s Sunset Park location. 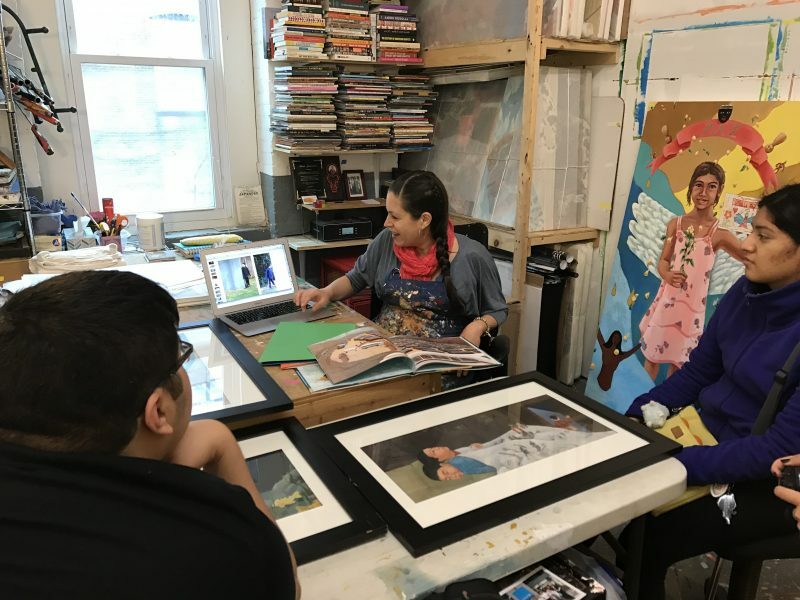 On March 31, 2017 the Dedalus Foundation’s Interns from Sunset Park High School visited Katie Yamasaki in her Red Hook studio. During their visit, students discussed immigrant heritage, the history of Japanese internment during World War II, and Yamasaki’s own career trajectory as a working artist. 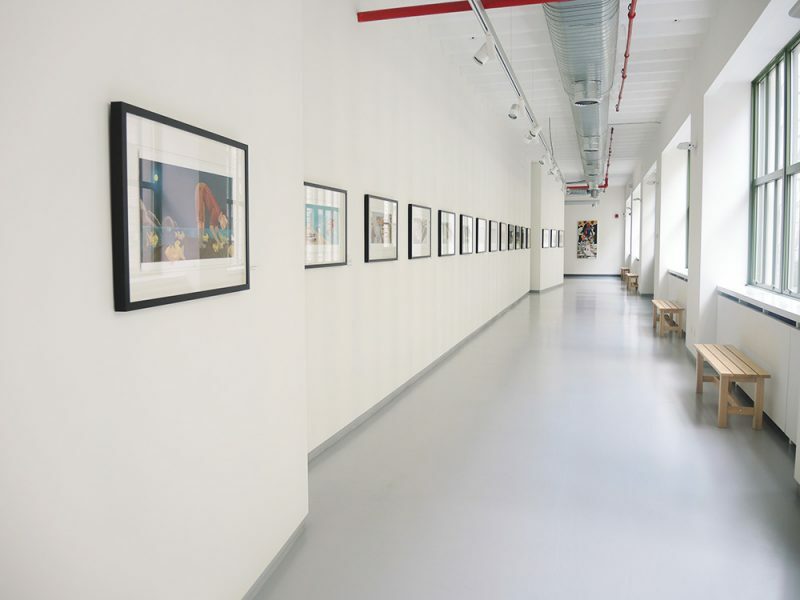 This summer our Sunset Park office is proud host to an exhibition that includes twenty-seven of Yamasaki’s paintings from two series. Portraits from Yamasaki’s Pintando Postales series invite viewers to imagine life in two distinct cities from the perspective of middle school children. 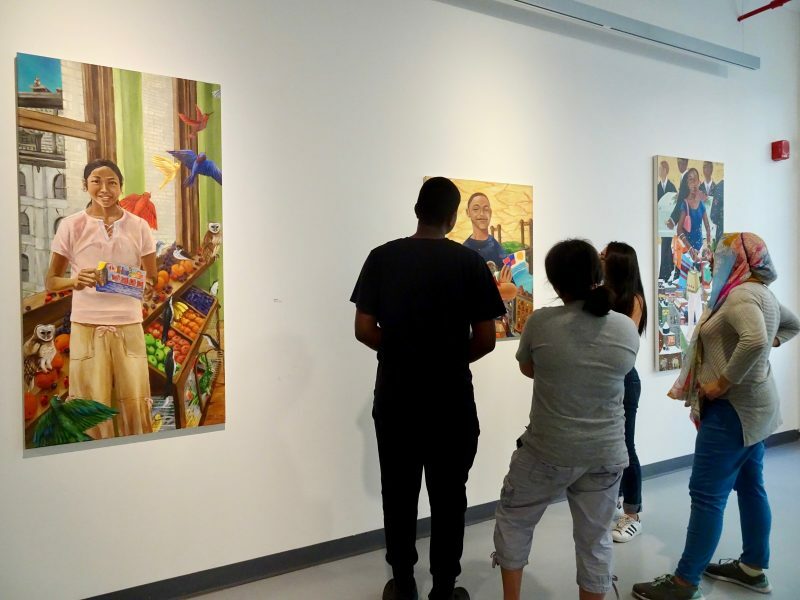 Pintando Postales are large-scale portraits that were inspired by correspondence between children in Santiago de Cuba and New York City. Yamasaki describes them as an attempt to illustrate childhood and adolescence from the voice of the child, catching the moment in life where identity, imagination, and expression are at once hugely important, and extremely fluid concepts. 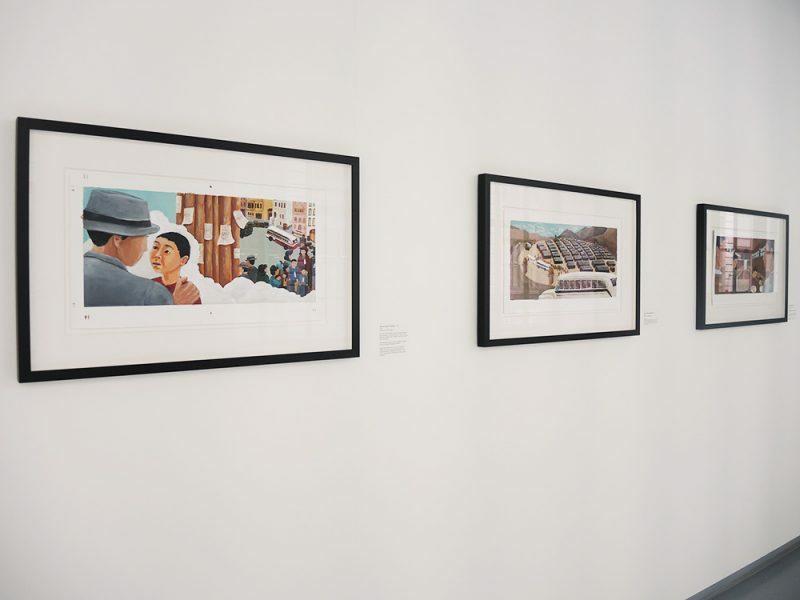 Yamasaki’s artwork will be on view at the Dedalus Foundation until the end of August, allowing the students in our Summer Programs to use Yamasaki’s artwork as a direct source of inspiration. Local community groups are also invited to use the gallery as a classroom for guided visits. The exhibition is open to the public by appointment from 9:30am-5:30pm, Monday-Friday. To schedule an appointment or group visit please contact programs@dedalusfoundation.org or call 212.220.4220.